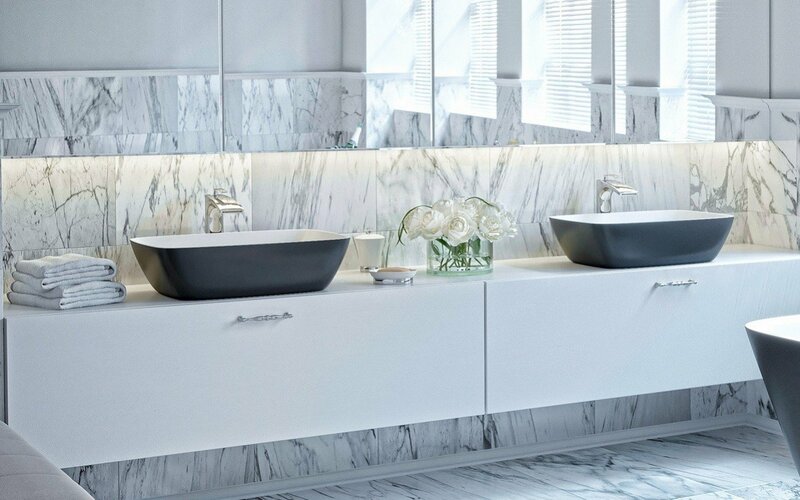 Combining elegance with functionality, the Aquatica Arabella-Blck-Wht Stone Vessel Sink is a vision in black and white color in a unique rounded rectangle shape that can offset any bathroom décor. 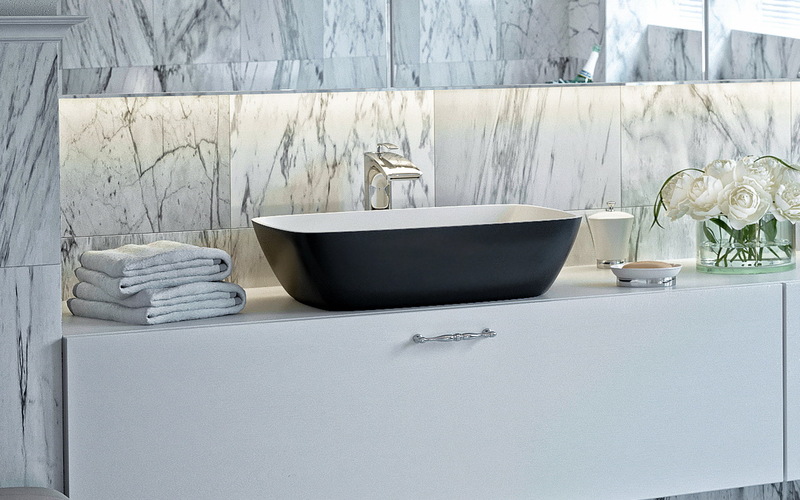 Boasting a matte finish that is pleasing to look at and touch, this stone vessel has everything sophisticated homeowners need to enhance their bathroom interior. The sink is made from AquateX™, velvety and pleasant to the touch, and the design features a matching white stone waste outlet cover. Combine it with our Arabella Blck-Wht™ freestanding solid surface bathtub for a truly luxurious experience.